Description: What nutrient elements are contained in sea food? Are sea food good for your health? 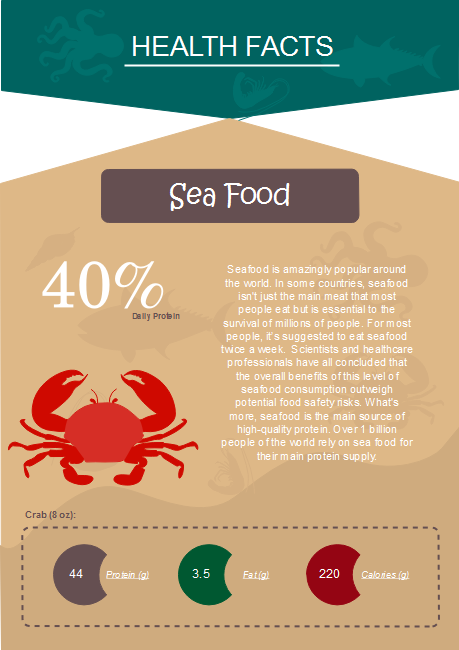 This sea food nutrition infographic will tell you. You can download this infographic template and write you own content on. Explore more infographic templates in Edraw infographic software.